In September 2017, Puerto Rico suffered two major hurricanes within weeks: Irma and Maria. While both were exceedingly destructive, Hurricane Maria was classified as a Category 5 and the worst on record for Puerto Rico in nearly 100 years. In the aftermath, millions of individuals and families were, and still are, left without homes, electricity and shelter. The U.S. territory continues to reconstruct and seek a sense of normalcy. 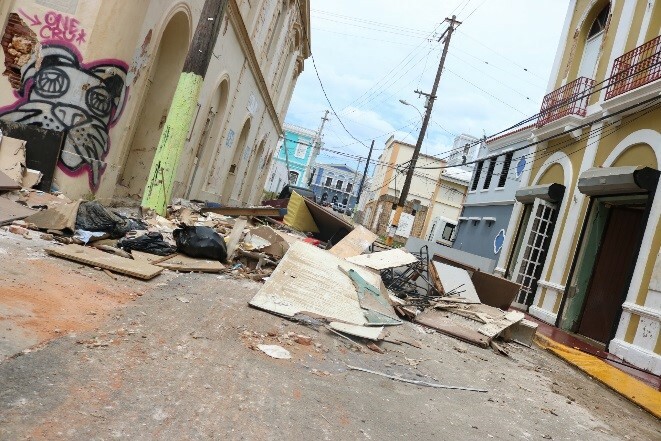 To aid Puerto Rico in its ongoing recovery, InFaith Community Foundation granted $100,000 to Lutheran Social Services (LSS) of Puerto Rico – a grant made possible thanks to generous donor gifts to the InFaith Disaster Relief Collaborative Fund. Creation of after-school programs for children in underserved communities to help build emotionally resiliency. In addition, the children’s programming will promote additional community services to their families to help them rebuild. Establishment of a University Lutheran Ministry to provide ministry and assistance to students. The University of Puerto Rico is the largest teaching center in the Caribbean. 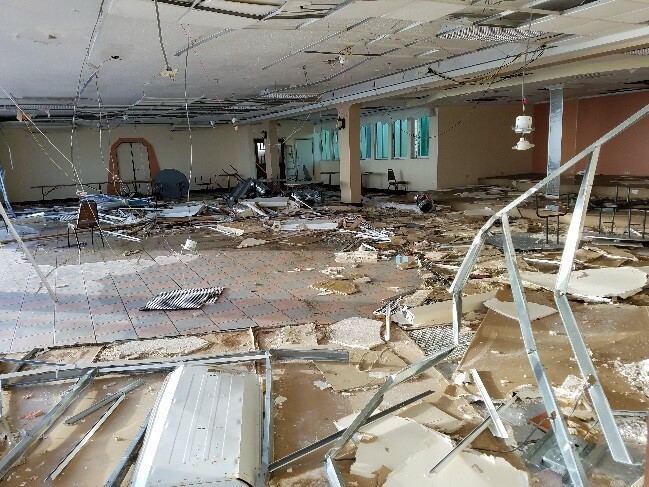 University students are away from their home communities and often lack the support networks and access to government services that address the disaster’s disruption to their lives. Development of a sign language training program to help train people to assist deaf community members during future disasters and provide translators to help affected people access community services during the rebuilding period. The deaf and hard of hearing community in Puerto Rico has been particularly vulnerable during emergencies and natural disasters because there are not enough trained translators to effectively spread vital information. Creation of an Alzheimer’s program to educate on the disease and how to assist caregivers during emergencies. Alzheimer’s is one of the fastest growing diseases in Puerto Rico. The large number of working age people leaving Puerto Rico to work on the mainland due to recent economic recessions has also increased the number of elderly who living alone or with non-family caregivers. While recovery will likely take many years, the community looks forward to long-term rebuilding. “We believe every response needs to be rooted in the community; we work to accompany the community from immediate relief through long-term recovery,” explains Rev. David Guadalupe, CEO of LSS of Puerto Rico. InFaith’s Disaster Relief Collaborative Fund is made possible by donors who pool their charitable gifts with those of other generous donors to achieve a greater effect on an issue or field of interest. Grants are made to organizations where they will have the most impact. Read more about InFaith’s Collaborative Funds.